Beautiful multi-level home with quiet location in cul-de-sac backing up to a greenbelt. The swimming pool is within steps of the front door. 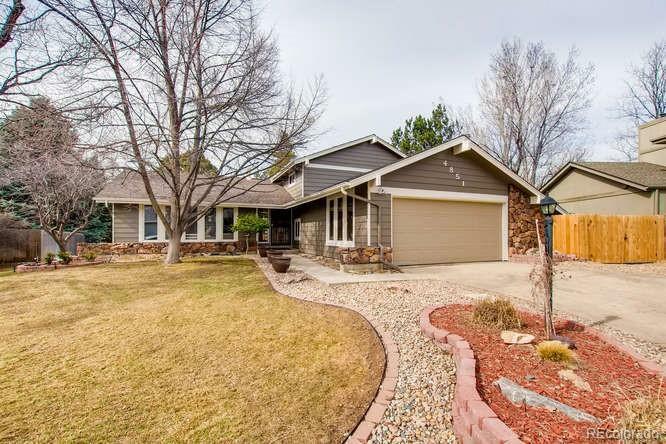 Gleaming hardwood floors throughout main and lower levels, airy vaulted ceilings, upgraded kitchen with stainless steel appliances and granite counter tops make this house shine. This home includes newer windows and interior paint with brand new carpet throughout upper level. Snuggle up with the wood burning fireplace on during those cool winter nights. The new elevated backyard deck is perfect for enjoying all the gorgeous evenings we have! This desired community gives you 2 swimming pools, tennis courts, basketball courts and a large park with playground equipment. Greenbelts, walking trails throughout with big beautiful trees and gardens! Lot's of fun activities such as Easter Egg Races, 4th of July party at the pool and much more! This home wont last long, Don't miss out on your chance to live in this great community. Offered by Cygnus Real Estate.